In today's day and age, it’s hard to find songs that captures the American Spirit. The times of past country cowboy songs have changed hands to today’s Lady Gaga and Kid Cudi. 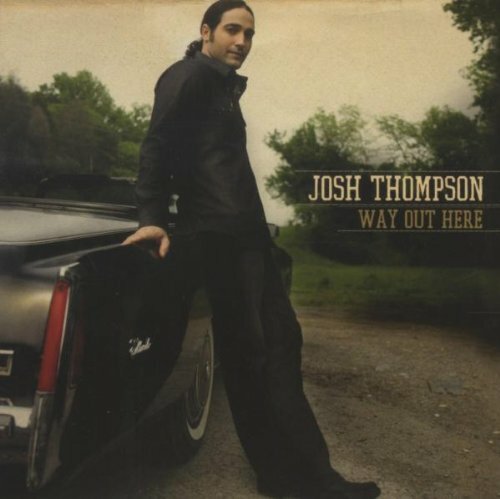 Josh Thompson’s new album steps back in time, while still being relevant to today’s society. The hit song and namesake of the album, “Way out Here”, pays homage to America’s country lifestyle. This album is great. It’s one of the best country albums released recently. That’s also one of its biggest faults. Many people who have grown up in large cities are not familiar with country music. Yet, I think most of you will be able to connect with Thompson’s down home roots and rural way of living. Way out here is a fantastic collection of music. As a Texas native, I hope that people will broaden their views of rural folk. Have you seen "Coal Miner's Daughter" about Loretta Lynn. Its amazing. Definately one of my top favorites. I plan on seeing "Country Strong" someday. I'm honestly not that much of a fan of southern rock. I think southern rock if just a bad form of Honky Tonk country. Southern rock isn't exactly my thing, there's a few I can get into, but I'm a fan of the more traditional acoustics. I don't think it's the best on his album though, I think You Ain't Seen Country Yet is probably the best. However, most of his songs seem to have the same kind of rhythem/music to me (I'm not an expert though). They kind of remind me of some of the music in Country Strong, if you've seen that movie (which you should when it comes out if you haven't!). I love Zac Brown Band, also. I just like how Josh Thompson was able to incorporate southern rock into his sound since many rural communities listen to it. I think it's a good song, and I like it, but I just don't think it's that original. There are plenty of other songs like it with the same message. I think Free by Zac Brown Band captures the same message in a much better way, and sticks to the more old school country style. I think if you're gonna try and sing about the country, it shouldn't be in such a new style. However, it is a good song and I do enjoy it from time to time.